Companies are finding some of the oddest locations for data centers these days. Facebook, for example, built a data center in Lulea in Sweden because the icy cold temperatures there would help cut the energy required for cooling. A proposed Facebook data center in Clonee, Ireland, will rely heavily on wind energy locally available. Google's data center in Hamina in Finland uses sea water from the Bay of Finland for cooling. Now, Microsoft is looking at locating data centers under the sea. The company is testing underwater data centers with an eye to reducing data latency for the many users who live close to the sea and also to enable rapid deployment of a data center. 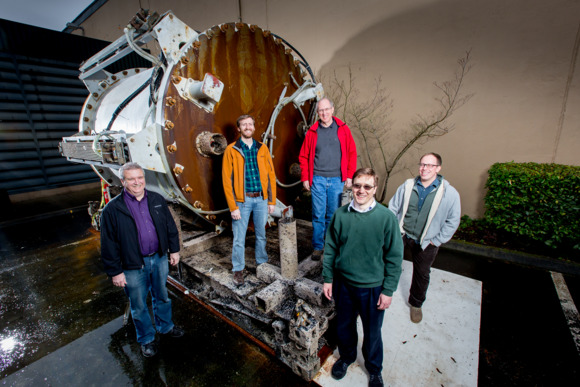 Microsoft, which has designed, built, and deployed its own subsea data center in the ocean, in the period of about a year, started working on the project in late 2014, a year after Microsoft employee, Sean James, who served on a US Navy submarine, submitted a paper on the concept. A prototype vessel, named as the Leona Philpot after an Xbox game character, operated on the seafloor about 1 kilometer from the Pacific coast of the U.S. from August to November 2015, according to a Microsoft page on the project. The subsea data center experiment, called Project Natick after a town in Massachusetts, is currently at the research stage and Microsoft warns it is "still early days" to evaluate whether the concept could be adopted by the company and other cloud service providers. "Project Natick reflects Microsoft’s ongoing quest for cloud datacenter solutions that offer rapid provisioning, lower costs, high responsiveness, and are more environmentally sustainable," the company said. Using undersea data centers helps because they can serve the about 50 percent of people who live within 200 kilometers from the ocean. Microsoft said in an FAQ that deployment in deepwater offers "ready access to cooling, renewable power sources, and a controlled environment." Moreover, a data center can be deployed from start to finish in 90 days. Microsoft is weighing coupling the data center with a turbine or a tidal energy system to generate electricity, according to the New York Times. The company is targeting the lifespan of the data center to be at least 20 years. After that it will be salvaged and recycled. The company is also considering a "deployment cycle" of 5 years each, which is the anticipated lifespan of the computers in it. "After each 5-year deployment cycle, the datacenter would be retrieved, reloaded with new computers, and redeployed," according to the Microsoft FAQ. A new trial is expected to begin next year, possibly near Florida or in Northern Europe, Microsoft engineers told NYT. The engineers even ran commercial data-processing projects from Microsoft’s Azure cloud computing service. On community forums, some users questioned whether an undersea data center could have an environmental impact, including the heating up of the water around the data center. But Microsoft claimed on its website that the project envisages the use of data centers that would be totally recycled and would also have zero emissions, when located along with offshore renewable energy sources. "No waste products, whether due to the power generation, computers, or human maintainers are emitted into the environment," it said, pointing out that the data center does not consume water for cooling or any other purpose. "During our deployment of the Leona Philpot vessel, sea life in the local vicinity quickly adapted to the presence of the vessel," it added.